awesome however could you help me ? I think i am almost there. I have the same host and guest as you do. When I try seamless mode the Ubuntu bar at the top and the launcher at the left are missing. Naturally i have no application running in Ubuntu … you can’t access anything inside ubuntu. how do I set my launcher and top bar to show at all times in seamless mode. Hi, it seems there a few people with similar problems. Here are some links you might find useful. http://ubuntuforums.org/showthread.php?t=1949817. 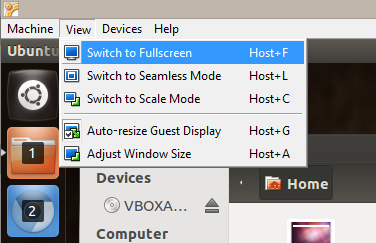 http://askubuntu.com/questions/316501/windows-7-virtualbox-guest-in-seamless-mode-has-bottom-clipped-off-in-ubuntu-13. I know this is an old article but I am trying to accomplish seamless mode with an ubuntu guest OS where the launch bar on the side will show up in the windows environment, but instead it pops up the entire environment as if it was just windowed mode so it’s not really what I want. Any advice on how to fix this ? Hi Thomas. 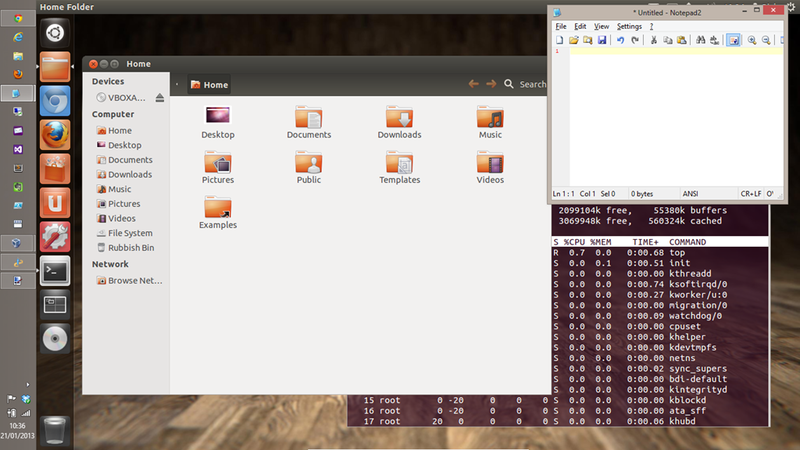 I’m not sure if you can have the Ubuntu unity launcher displayed without the whole Ubuntu desktop showing. Seamless works much like windowed mode really but with more integration of mouse keyboard. There have been various changes to Ubuntu and virtual box and so I’m not sure how well this works on newer versions of either software. If you have the whole Ubuntu desktop displayed in a window then you can maximise it to full screen which should display both windows and Ubuntu launchers next to each other as in the screenshots in this post although that might not be what you are after. There are numerous known issues with the launcher nor being displayed and these are linked in the previous comment above which might help.